Four Yogalifers, Five Workshops, A Million Smiles! This year marks the 7th annual gathering of beautiful souls for Astral Harvest: Mythic Roots // Binary Skies, July 3-6th in Driftpile, Alberta. A homegrown festival with the roots of the crew hailing from Edmonton, this is a quick-growing shaker with something for everyone. With daytime workshops as a central focus for Astral, it's no surprise that four of our own will be sharing their skills with the festival-goers. Graham Parsons, Jessica Saulnier, Jennie Musani and Caitlin Varrin are rolling in with five different offerings over the weekend. They couldn't be more excited to be a part of this magic. "My favourite part of astral is sharing chai with a best friend you weren't acquainted with till that afternoon, as you leave the chill dome at 3am and both smile at the part of the sky that never really got dark, & know that you still have several more days of warm friends, mindful yoga, inspiring art & immersive bass. Welcome to Now"
"To me, Astral Harvest means freedom. I'm most excited to just be. 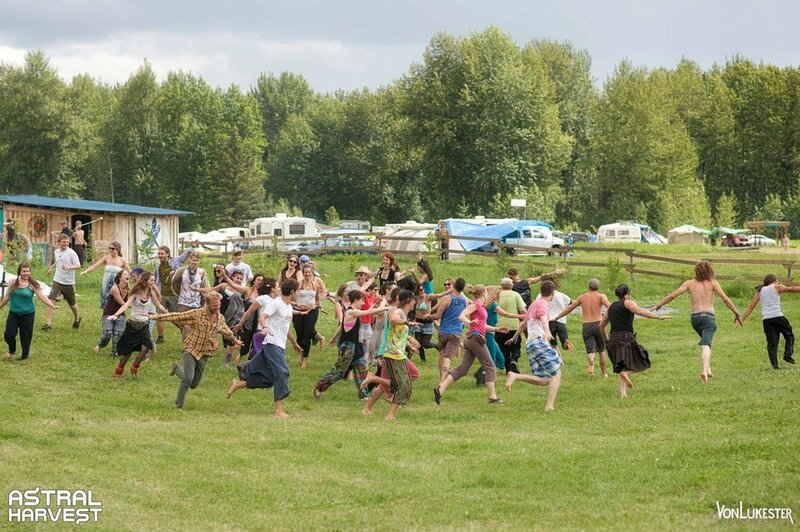 <3"
Astral Harvest Music is not your ordinary music festival - it is a feast for your senses! We bring in international and local DJs and acoustic acts, powered by the ever-impressive PK Sound. Our 4 unique stages and incredible lineup brings world wide recognition. But Astral Harvest goes beyond the music scene with an emphasis on daytime activities. Astral Harvard conferences are sure to inspire new thoughts and ideas. Learn a new skill or practice at a workshop, cool yourself in the river at the beach or take in one of the many live art shows or interactive performances throughout the weekend. Our atmosphere is part of the magic - a playground and children's activities will keep your Little Harvesters engaged and entertained! Nestled in the beautiful boreal wilderness of Northern Alberta, admission includes 3 nights and 4 days of camping, free water and firewood, and access to hot, coin-operated showers. Take a stroll through our funky and renowned marketplace and support local artists, merchants and bountiful food vendors. Come celebrate music, art, knowledge, community and the human experience - Home is where the Harvest is. "Astral Harvest is community: home, heart and harmony. It's reunions and connections, so many smiles and jokes, family. My favourite people, land, music, art and movement. Harvesters are truly and deservedly spoiled :)" Join Caitlin on Thursday, July 3rd // 1:30 // Simple Pleasures~Hatha Flow"
Big thanks to Luke GS Art & Photography for the beautiful photos!